Great analysis there, Pat, you raise some excellent points. I like these discussions quite a bit, sort of in-depth analyses of albums, lyrics and songs, comparing notes, so to speak, with fellow Tull experts. It was a very close vote for me, but I wound up giving it to TW mostly on the strength of it having so many Tull classics, the early live performances of which were very exciting with Glenn and Clive, and of course Ian's wild-eyed flute playing, shabby overcoat, etc. I see your point on Seal Driver, it is more complex and adventurous than I gave it credit it for, especially with the musical bridge in the middle part. But I've always found it as well as some of the other songs on War Child a little too repetitive and very heavy-handed, although I must admit the heavy-handedness aspect is part of what makes Tull so much fun! Still, War Child sometimes seems overly bombastic to me, even for them, although I am sure that was purposeful given the war theme. Your comment about This Was minus the Kirk-an (pun intended) flute being no more interesting than other blues/rock records of the time, was excellent, and perhaps you are right about that. I easily could have, and perhaps should have, called this category a tie, but I don't think I would have given it to This Was outright. 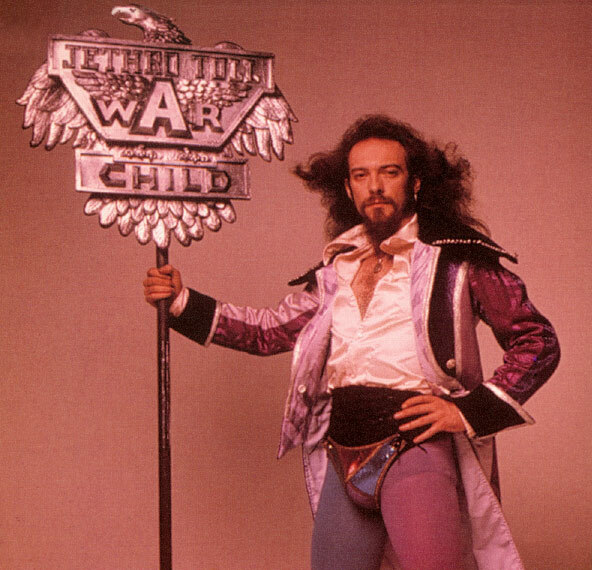 The one thing about War Child that has kept it off my turntable more so than other Tull albums is the singing. I like it well enough on some of the songs, like Ladies, Skating Away and Bungle but on others like Seal Driver, War Child and Two Fingers, I have always found it somewhat grating. That is why I called that category a tie, even though Ian was still developing his vocal style on This Was. I considered calling this entire round a tie, but kept coming back to the sheer number of Tull classics on TW, and the groundbreaking nature of the album at the time, as the determining factors, but by a very small margin. P.S. As with Broadsword, I actually like some of the extra War Child cuts like Rainbow Blues and Paradise Steakhouse better than some of the songs that were included on the album, but for purposes of this exercise, we are not considering extra tracks, only the albums as they originally were released. I'm looking forward to add my vote on this one. Hopefully I will tonite. BTW Jeff, I think you meant Sea Lion, not Seal Driver. Right, Sea Lion. I made the same mistake three times, first in my original post, then twice in my follow up. I also mistakenly said 'Jeffrey Goes' was on TW, when I meant 'Song for Jeffrey.' And I just noticed now that in the third paragraph, near the end, I meant to say I don't think I would have given it to War Child outright, but mistakenly typed This Was instead. (I just went back and corrected that one, because otherwise it would be confusing.) That's a lot of freakin mistakes. Recently in another thread I did the same thing, mistakenly typing "Northern Island" when I meant to say Northern Ireland. It's because I type quickly and have a lot to say. Still, I've got to be more careful with proofreading in the future. Not to worry, we knew what you meant. This Was Album War Round 7: This Was v. War Child. I'm going to answer this one in parts as time permits. As an interesting sidebar, I thought going in I would eventually end up picking This Was as the winner as did Jeff. But so far that doesn't appear to be the case. I guess Warchild does in the sense that is was the first Tull album to get tagged with the "Elizabethan" style. But it was probably more so for Ian's stage and album-cover clothing rather than the music which was rather an eclectic mix. But the music continued to evolve as I'll touch on later, and because of that I have to give the edge to Warchild. (2) The complexity of the music: how adventurous is it? This Was is basically blues with a bit of a twist while Warchild was an amalgam of influences, i.e. English, Scottish, and European vibes wrapped up into the context of rock music. Does that equal adventurous? I don't know but This Was the album that stood out from the crowd for me back in the days when Boston, Chicago and other US bands ruled the airways. This Was the album that made me a Tull fan. Is there anything more simplistic than "my baby left me"? I love some of the lines on This Was, but it just pails in comparison to Warchild. This Was enjoyed a revitalization of sorts by the inclusion of it's songs into the live act dating back to '87 and extending well into the new millennium. I believe it's that reason alone that lead me to really enjoy that record - preferring it over Warchild. But still, the fact remains that not one track from TW made it on to any of the first 3 best of's. Warchild on the other hand scored 3 hits with Bungle, Skating Away and Warchild. We can even add 2 more as Rainbow Blues and Glory Row were recorded during the same time period. The album also contains other fan favorites like Back Door Angels, The Third Hoorah and Queen & Country. So I have to give this one to Warchild as well. I wonder what was Ian thinking with his vocals on TW? It obviously was a deliberate attempt at a certain sound....certainly not his natural self. Warchild is the clear winner here as well. Sax, glockenspiel, piano accordion, Spanish guitars, and bagpipes. Nuff said. I always thought of the Warchild album as being one of the classics in rock & roll. From the menacing front cover with the negative image of Ian to the portrayal of each song by the band members (and others) on the back. Never cared much for the TW packaging. Warchild again. The only song on either album with a semblance of humor to it for me (besides Round) is Two Fingers. Oh well. Looks like This Was loses yet again. Put me down for an almost verbatim (sans mistakes ) reply of your post Jeff concerning the old men that weren't quite feud against the warring child! Sorry, sometimes I try to be too clever for my own good. Yes, you are correct, the old men that weren't quite would be This Was of course trumping War Child primarily for the reasons you stated in your (self-admitted mistake-laden ) analysis. 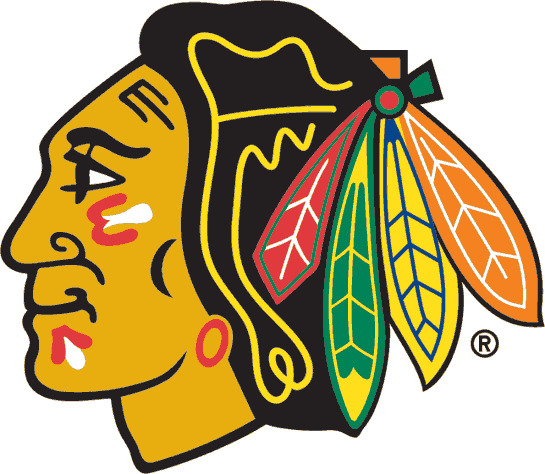 My one team lost in the playoffs last night so that should free me up to finish this thing! I believe it can. But my crystal ball tells me we'll need to fast forward well into the future. It took awhile but the verdict is in! Good analysis, good photo, but This Was hasn't lost this round yet! Remember it takes five votes to win, and right now This Was and War Child are locked in a dogfight, tied 2 votes apiece. This could get even more interesting. Anyone going to join the fun? Five votes are needed for an album to win, so both albums still need three more. WarChild - The Tull concert heaven years. Sans flute: This Was is about as innovative as Led Zeppelin. I vote for the eclectic WarChild. Eclectic could be my favourite word when it comes to music. This Was: The 2001 stereo remaster is when I started to really listen to This Was. The mono CD release really sold me with the guitars sounding awesome. Interesting. I never gave the mono release a thought. Although I was just getting into Tull at around that time, I was too young to go to shows then, but I have no doubts that the War Child tour was one of Tull's most spectacular. As always, five votes are needed to win a round, so we're not quite there yet! I'm a surround sound freak and I'm blown away by This Was mono sound, mono Beatles too. Yes, I've been reading your posts and I see you are very much into the sound production. Mix is too and so am I to a certain degree. I just haven't had much of an opportunity to listen to it in that manner. But I'm going to look into picking up that release of TW to see what it's all about. Thanks. It is QUITE nice! Any Tull fan would be remiss if they didn't get the mono TW. I can't believe it took me so long to do just that (I picked mine up several weeks ago). Shame on me! Guitar guitar guitar heaven. Also the different mixes :love: just have that certain something. Like listening to Moths on the 20th. Even if it's rather similar, I've spent so much time with it I know it backwards and forwards so hearing even the slightest difference puts that big ol' grin on my face. I picked it up yesterday from Amazon - not the CD, but the download for $7. iTunes wanted $20! Looking forward to seeing what it's all about. When we last left off, War Child was leading This Was by a score of 3-2, but since five votes are needed for an album to win a round, this is still far from resolved. Anyone want to register their vote for this round? We've been using the nine-point analysis to make it more fun. You want to weigh in on this one, Ray? How about you, Dan, I don't think you've cast your vote on this yet. I would love to jump in Jeff, but I am pretty sure my votes should only count for half because on any given day I might argue with precision and passion for anything in their catalogue being the best thing they ever did, with the exception of the one with David Palmer. But over decades I have to say This Was gets the nod over War Child, even given War Childs remarkable tour. I have to join up with the disapointment if not discontentment after listening to part of the Manchester show, which I think was not one of the more highly regarded ones. I really get where folks are pissed about the set list, I just believe when Ian said those things about playing more obscure tracks it actually was his intent, I don't think there was anything conniving about it, maybe whatever they tried was not up to Ians assessment of where it needs to be. Hardly a terrible show, I have heard the voice a little better in recent years but I also understand Ian had some kind of viral infection, I too had the nastiest one of my life this year and it briefly seriously messed with my voice. On the one hand I was listening to it as I drifted off to sleep but such as I heard was pretty nearly...boring. Since you have given This Was the overall edge in your personal Tull pantheon, this round is becoming quite interesting. The score so far: War Child, 3 votes; This Was, 3 votes . Five votes are needed to win a round. Who wants to break the deadlock? Never heard anyone make that claim before.